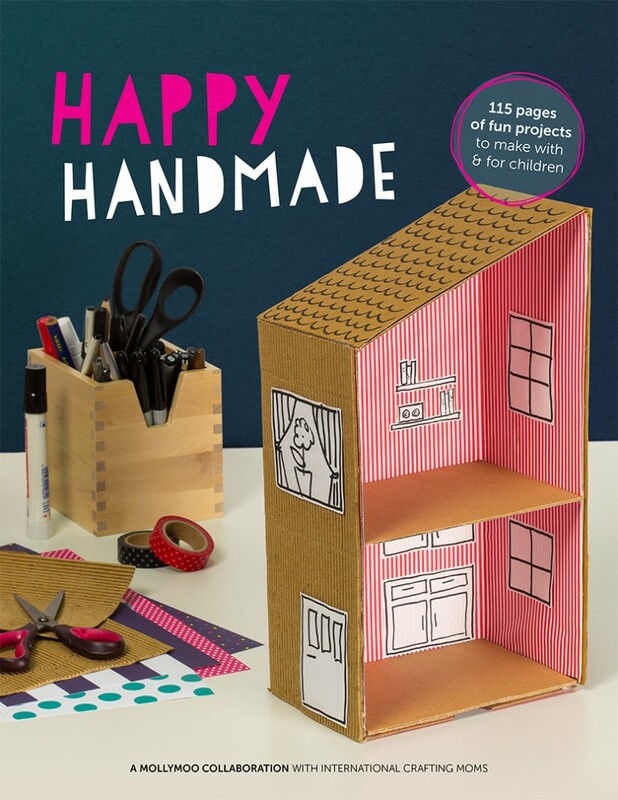 Happy Handmade, the new craft book you & your kids will love! 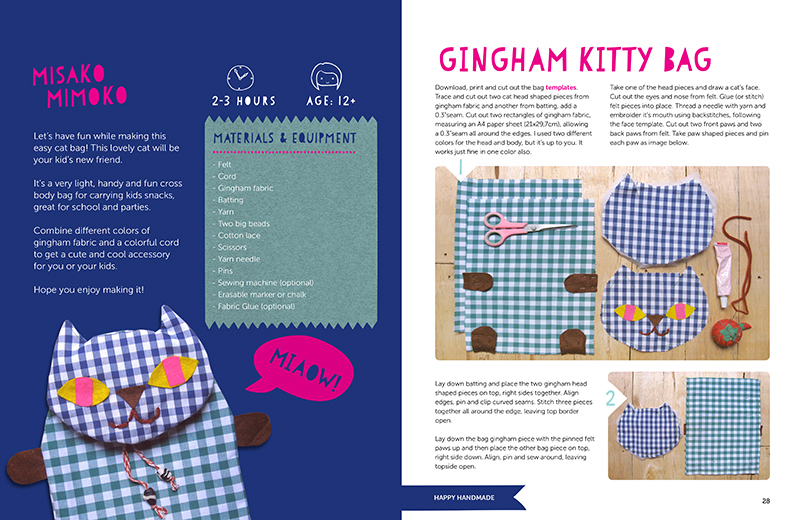 *Happy Handmade is an e-book, you can purchase & download your digital copy here. I’ve been a lover of craft books for as long as I could remember. Growing up the way I did and moving around so much, I never had a lot of toys. I used to spend hours in libraries and bookstores flipping through magazines and craft books imagining all the things I’d make on my own someday. 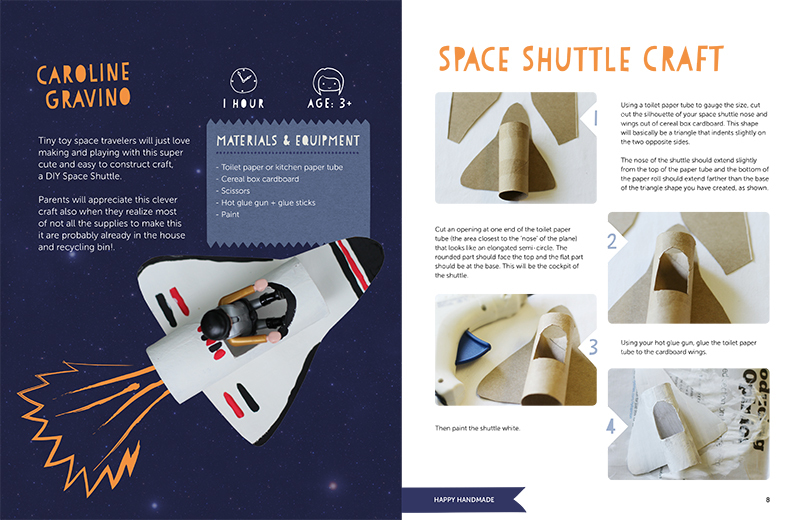 I’ve passed my love of craft books on to my daughter, but with a few big differences. For starters, we own a lot of the books we pour through together in those bookstores. We’ve got quite the collection! And, she isn’t as scared (or shy) to try new things — meaning it’s usually her holding my hand and coaxing me into doing something new. On today’s agenda, we’re going to soak up all of the goodness from the new craft book Happy Handmade, a collaboration from some amazing creative mamas and sweet friends of mine. Not only is this book packed full of fun and colorful ideas, but the projects hold an extra special place in my heart because I feel like by creating them I am bringing a part of my friends into my home. 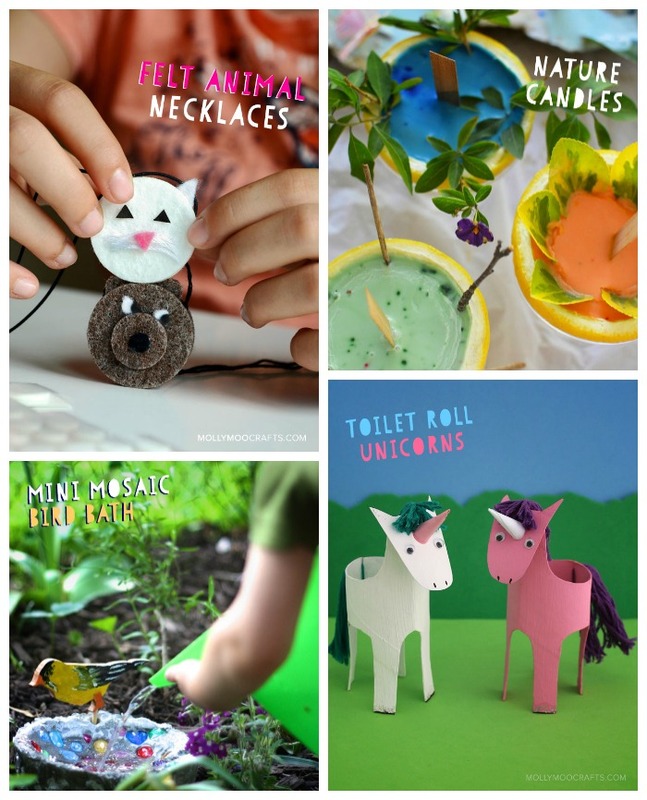 These cute furry animal necklaces, scented Nature Candles from Meri Cherry, the Mini Mosaic Birdbaths from Buzzmills, and the TP Roll Unicorns, aren’t they great! There are so many other great projects featured in this special e-book, I know you’ll love it. Check it out and let me know if you grab a copy. 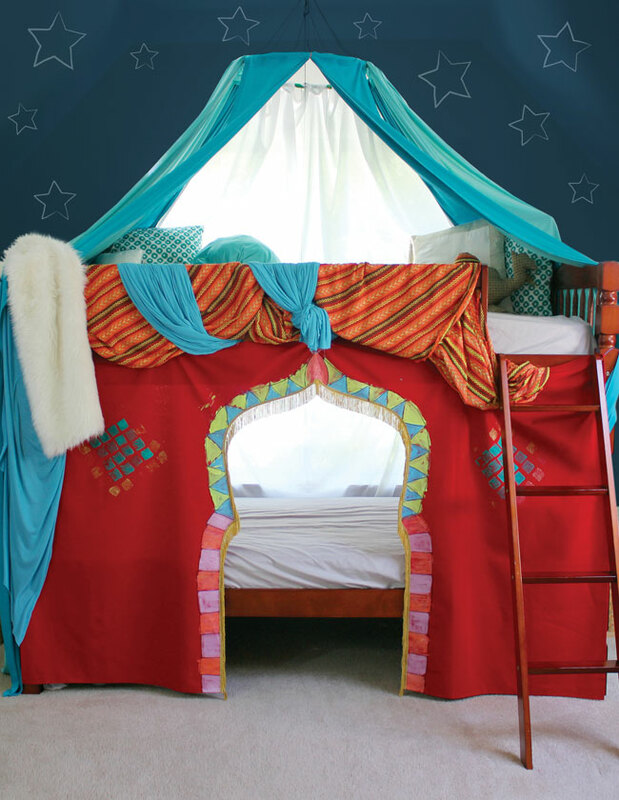 I’ll be daydreaming about reading the next craft book with you in here! Make your own version with the directions from the book!